Hand out candy in style this year! 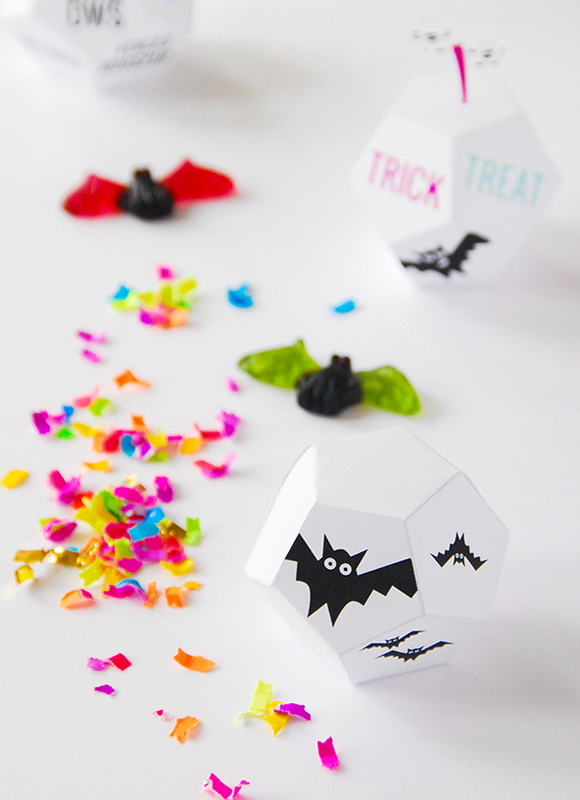 Whether you are handing it out at the front door, in the classroom, or at the office – these free printable treat boxes will give your ghouls something to smile about. 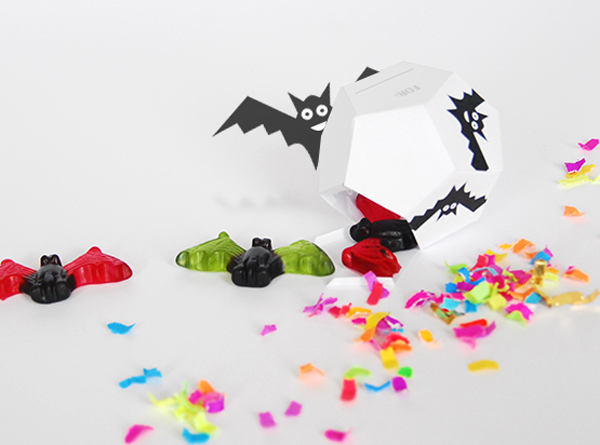 Choose from bright words, bats, or polkadots stuffed with goodies inside. 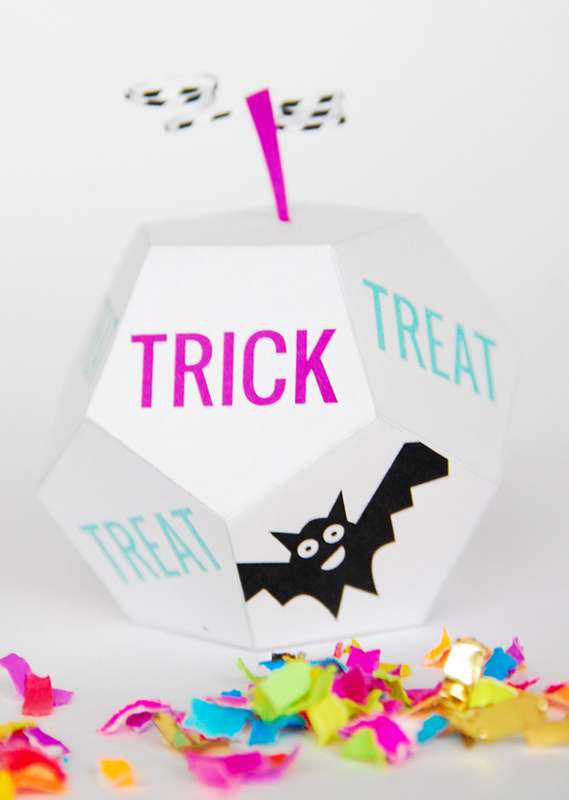 To make the printable trick or treat boxes, print out the PDF right here. Cut along the outside lines and fold all lines at the creases before putting the boxes together. Glue flaps on the inside blank sides and fill with candy before closing the last flap. 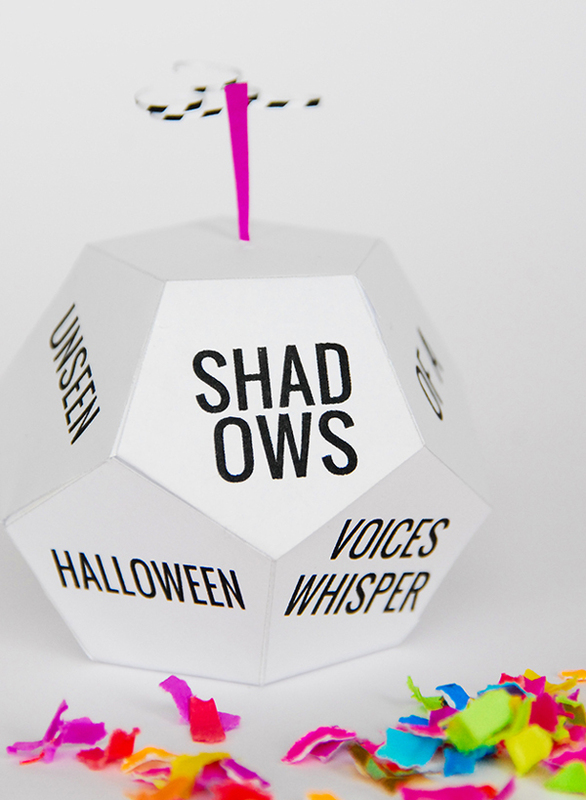 Top each box with the paper stem for easy opening and bright, festive Halloween style. 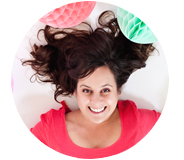 Project design and photography by Sibylle, of Funkytime for A Subtle Revelry.